When it comes to complete disaster restoration, whether it be from a fire, flood, hurricane, tornado, or other disaster, you can count on Target Restoration to arrive right away to restore the property. Our technicians have proudly been performing these services in Killeen, TX and the surrounding areas, focusing on efficiency and professionalism. TIPS and TAPS: the Interlocal Purchasing Systems in Texas and Oklahoma. Members must follow strict requirements in order to assist commercial and government properties. Also backed by the Houston-Galveston Area Council (H-GAC), you can count on Target Restoration to provide professional restoration services. 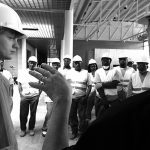 Each of our technicians holds an IICRC certification, one that can only be awarded through field and classroom training. Once certified, they will then undergo a 7-year process to become Master Water and Fire Restorers. In addition, Target Restoration holds more than 100 years of experiences in the restoration industry. We take our involvement very seriously as we our committed to the overall wellbeing of our community, both as volunteers and professionals. As we have been a trusted provider of restoration services, Target Restoration is honored to have assisted in the restoration projects of the Baylor University, Darnell Army Hospital, H-E-B grocery stores, and Belton ISD. We have also won 3 honorable awards for our dedicated services. We can be reached 24 hours a day at (254) 613-7545 for any of the restoration services listed above. 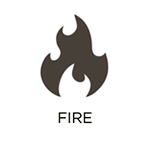 Fires can happen at any minute within a home or building. As soon as they start, it only takes minutes or even seconds to spread, depending on the materials in the room. As the flames move to consume the structure, it can grow to be unstoppable using a home fire extinguisher. But even after it’s put out, the destruction doesn’t stop there. The smoke produced from the flames and the soot produced by the smoke will cover the remaining materials in an oily, thick residue that can change the overall composition of the material if not removed right away. But when calling Target Restoration we will arrive within an hour of your first call with all equipment and cleaners to restore your structure to its original condition. 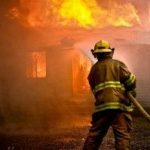 Our technicians will handle everything from the board ups and stabilization to complete repairs included within our fire damage repair services in Killeen, TX. Did you know that just a few inches of standing water can cause severe structural damage. This is because it can seep into different materials, including wood, carpeting, drywall, and more. 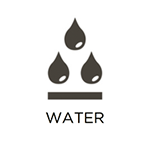 Common sources include burst and leaking pipes, appliance leaks, sewage backups, rainstorms, and more. But as soon as you call Target Restoration, we will arrive right away to begin the restoration process, extracting excess water and drying out the materials. Our technicians are both certified and trained to provide water damage restoration services in Killeen, TX using professional equipment to repair the damaged structure while preventing mold growth in the process. 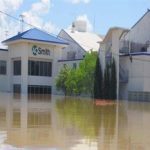 The potential damage that can be caused by natural disasters has no limit. Everything from floods, fires, hurricanes, tornadoes, and even mold have the power to cause destruction that will need emergency services. 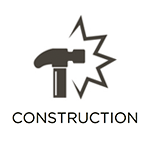 Soon after encountering the damage, don’t hesitate to call Target Restoration for complete construction services in the Killeen, TX area and we will arrive right away to stabilize the property. Our technicians are IICRC-certified to completely rebuild homes and commercial buildings, planning and following each step of our repairs process. At the end of the project, we will work with your insurance adjuster to provide complete peace of mind during the claims process. 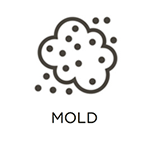 Once mold starts growing in a home or building, it can be extremely difficult to remove. Embedding itself in organic substances on the property, such as carpeting, drywall, or wood flooring, it must be removed professionally. This problem can also cause a number of health effects, contributing to coughing, breathing problems, asthma reactions, and a multitude of other health issues. 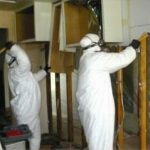 But Target Restoration provides mold remediation services in Killeen, TX to completely remove mold at the source while cleaning out the entire space to ensure it doesn’t return in the future. Our technicians are also certified and licensed to provide these services in the state of Texas. We have also used proven methods in order to provide the best results. 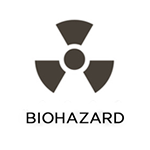 Biohazards can be present in a number of situations; these include mold, sewage backups, crime scenes, and even water damage. But as soon as you find these contamination, it is important to call a professional cleaning service right away. Otherwise, any mishandling of these contaminants can result in severe negative health effects. Target Restoration is available 24/7 in Killeen, Texas to provide professional biohazard and trauma scene cleanup services. In addition to being licensed and trained, our technicians will arrive right away, using professional equipment to remove the biohazards and powerful cleaners to restore the affected area. Give us a call as soon as you notice biohazards of any kind of your property. For any of the services listed above in Killeen, TX, contact Target Restoration at (254) 613-7545.